We will buy your car running or not. Contact us today! Used cars, wrecked cars, junk cars ok. Sell your car fast. We buy cars on the spot. Are you ready to sell your used car for cash? Did the dealer try to offer you pennies for your car? here to offer you top dollar. At sellyourcardfw.com, we buy cars for the most cash, period. With over 20 years of experience, we can offer you not only the best deal, but we will save you time, hassle and aggravation. Why take phone calls and answer e-mails all day long, from people who may or may not buy? We will come to your location and offer you cash on the spot. Read our customer testimonials. 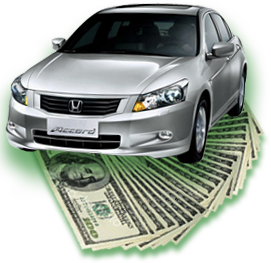 Fast Cash for Cars Dallas. Trucks. SUVs. Mini Vans. Any Condition. Running or Not. Junk Cars, Wrecked Cars, No Problem. We Buy All Makes and Models of Motor Vehicles. Call (214) 796-3312 now for a free quote, or use our convenient online quote form, and sell your car fast for CASH anywhere in the Dallas – Fort Worth metroplex. We come to you! We’ll pay money on the spot for any type and brand of vehicle, and ANY make or model. Still have a payoff? Don’t have a title? No problem. We can still buy your car and will pay you top dollar. Contact us now. Get a FREE no hassle, no obligation quote by calling (214) 796-3312 or use our free quote form now! Below are some testimonials on what people think about our services. Check em out! We are quite proud of them. They guys at SYCDFW are very helpful and made this transaction smooth with no issues. I got paid and I am going to use the money towards a new car. I have told several of my family members to use these guys if they have a car or truck that they want to sell. No hassle.